Help support the effort to stop high rise construction on the border of Miami's Greynolds Park. This would be an environmental disaster that would destroy the park. 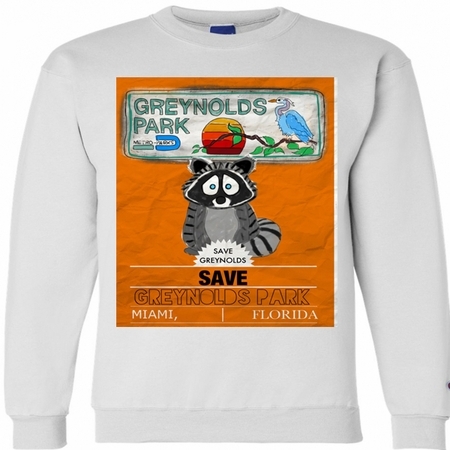 All profits from the sale of this sweatshirt are being donated to the Save Greynolds Park Coalition.